This book is probably best known as the inspiration for two films: The first made in 1987 starring Scott Glenn, the second in 2004 with Denzel Washington. Alas, I haven't seen the Glenn version, but I did enjoy the latter film, even if I thought the last third or so had some serious story flaws. 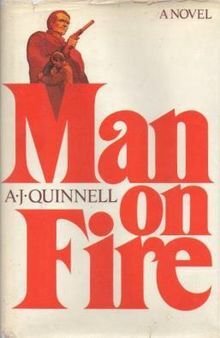 Unlike the 2004 movie, the 1981 novel Man on Fire takes place in Italy and around the Mediterranean. One thing in particular I liked about the book is how it describes the hero, Marcus Creasy, getting back into shape after being seriously wounded in a gunfight. He doesn't do anything fancy. Creasy instead retreats to a small island of Gozo in Malta, where he spends his time going on long ocean swims and helping villagers with projects such as building stone walls out of heavy rocks. I'm a big fan of ocean swims, especially for active rest days. Sometimes when I'm out there and the currents feel especially strong, I think of Creasy's hard swims and it helps to motivate me to keep going. The novel Man on Fire is also rich in characterization. You learn quite a bit about the characters, and Creasy in particular is given a good back story. The sense of place is also strong. 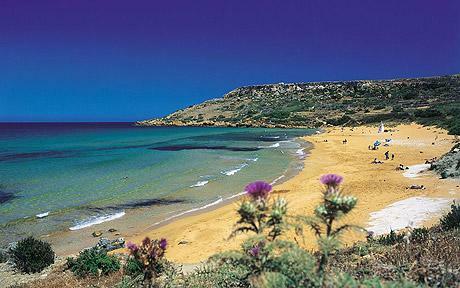 After reading the book, you might very well want to take a trip to Italy and Gozo. The Japanese connect to Creasy. They see him as a 'Ronin' - a disgraced Samurai warrior who spends his time trying to redeem himself by doing good deeds. 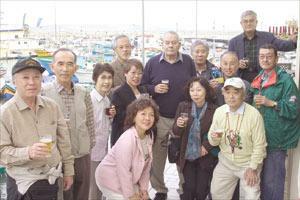 Quinnell with some of his Japanese fans. Incidentally, Man on Fire is the first of a series featuring the character of Marcus Creasy. I can't comment on the rest of the books as I haven't read them, though at some point I will.